Bungalows Lanzasur is located in Playa Blanca in Lanzarote, Spain, within one block of the sea and one kilometre from Marina Rubicon. 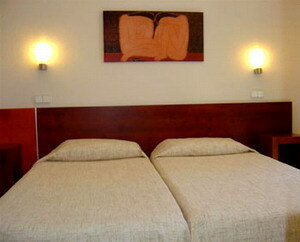 This modern complex offers bungalows surrounded by greenery and close to the sea. There is a recreation area with two swimming pools, one of which is heated during the winter, and a large hot tub. A fitness centre provides guests with a gym, aerobics classes, sauna, Turkish baths and a massage room. Bungalows Lanzasur's main restaurant serves buffet-style dishes for breakfast and dinner, as well as themed buffets throughout the week. On weekends the restaurant serves barbecues. 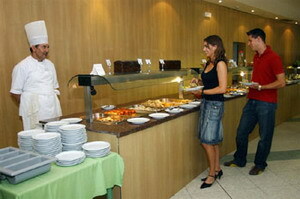 The snack bar offers buffet lunches on an outdoor terrace next to the swimming pool. 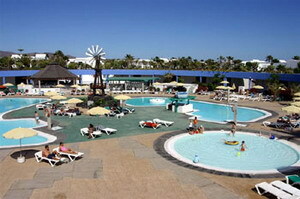 There is a separate swimming pool, a mini club and a play park for children. A games room offers a pool and billiards table, games machines, board games, table tennis and darts. The hotel's sports centre includes three tennis courts, a basketball court, mini golf, beach volleyball, archery and rifle shooting. Expert Tip: Papagayo beaches, five kilometres from the hotel, are a collection of small beaches separated by high cliffs, forming a number of sheltered bays. 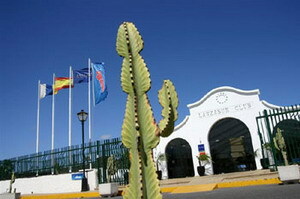 The area is now a national park and can be reached by water taxis from Playa Blanca's harbour. There are 226 bungalows with terraces at Bungalows Lanzasur. Bungalows include living and dining rooms with sofabeds, kitchens, separate bedrooms, bathrooms, telephones and satellite television.